The production of medicines, pharmaceutical and herbal, involves the sourcing of both genetic resources in the natural environment, and local knowledge. Sourcing substances for medicines in the natural environment is known as biodiversity prospecting or 'bioprospecting'. To ensure that benefits resulting from medicinal bioprospecting are brought to those ultimately bearing the costs of conservation and sustainable use, there must be a focus on indigenous peoples' rights-particularly property rights, whether to land, genetic material, intellectual property, or traditional medicinal knowledge. 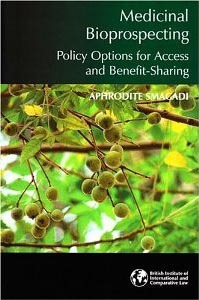 This study considers the importance of access and benefit-sharing agreements as incentives for biodiversity protection. It analyses the meaning of the objectives set by the Convention on Biological Diversity (CBD) for its implementation, examines selected domestic access and benefit-sharing measures and industry practices and, finally, evaluates the discussions taking place in international fora regarding the Convention and its principles. Finally, it attempts to make recommendations on how to realize the objective of the Convention for 'fair and equitable' benefit-sharing, focusing on enhanced protection of indigenous peoples' rights.